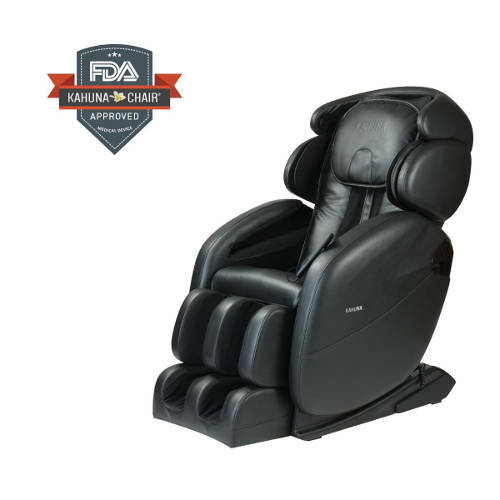 #1 Platform In The World Of Recliners & Massage Chairs! Almost every massage chair that comes out today has zero gravity reclining. The tricky part is figuring out which chairs are worth the price tag. We often get emails from people deciding between multiple massage chairs that have zero gravity reclining. A lot of the time these chairs have zero gravity reclining, but lack in every other aspect. 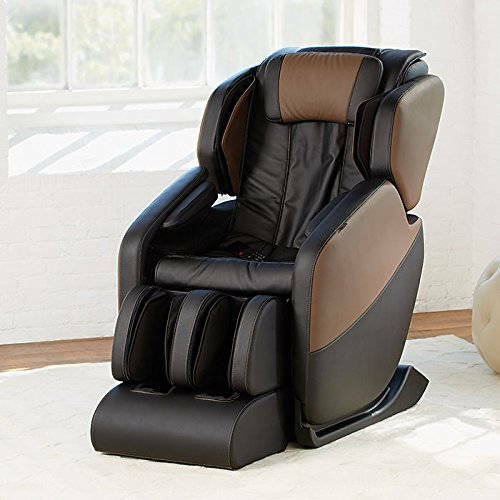 With so many questions and emails, we found the best thing to do was create a complete guide to the best zero gravity massage chairs in 2018. Through this guide we look at 7 amazing chairs, and conclude with an editor’s pick. 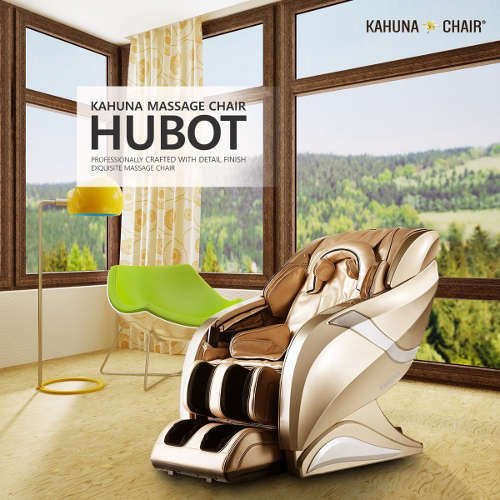 The Hubot from Kahuna is one of the newest massage chairs and it has taken the market by storm. Kahuna updated almost every part of this chair to modernize its appearance and technological standards. It uses the advanced HSL-track system which is longer and more ergonomic with an additional curve in the lower back region. 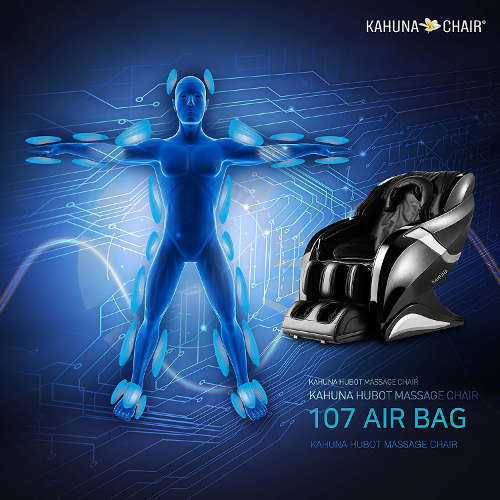 The air cell massage for the Hubot is outstanding; it uses over 100 air cells and an improved air cell system that increases your oxygen levels. Having an air cell system that works so efficiently is great because you can then pair it with massage programs. Kahuna also came out with 15 new massage programs that work to provide 15 unique experiences. During the testing of the Hubot, we knew that standard zero gravity reclining would be too basic for this chair, and we were right. The Hubot uses high-quality 3D performance along with its zero gravity reclining feature. Kahuna nearly doubled the size of the elasticity massage balls that provide a deep and powerful back massage. Reclining to zero gravity and then using air cell features, followed by the massage programs was an easy recipe for falling into a deep sleep. Ultimately, what made the Hubot great were the additional features. 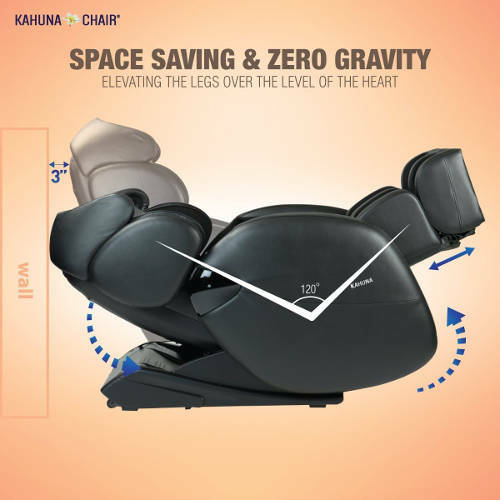 Having a space saving design with zero gravity reclining, beautiful craftsmanship, 7 inch leg extension, and an anti-stress head massage were the reasons the chair excelled so effortlessly. 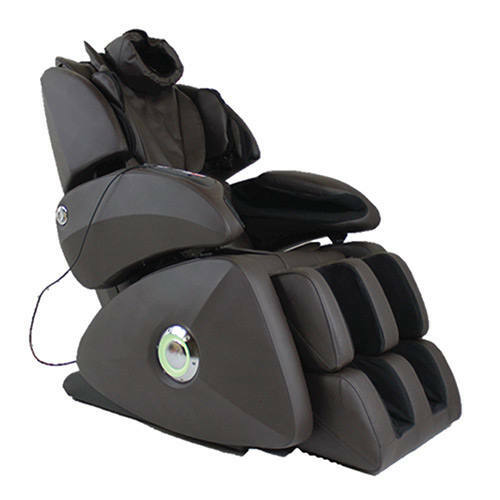 Following the trend of modern massage chairs, the OS 7200H from Osaki uses a micro-computer that is engineered to combine several massage techniques and styles with intelligent precision. The chair also has multiple advanced features that complement the rollers and 51 airbags in the chair. The OS 7200 uses zero gravity positioning to align your body and improve its massage delivery. People often forget that body positioning and weight distribution play an important role in how you feel during a massage. The perfect positioning feature aligns your spine and back in relation to your thigh at the most optimum point of support and comfort. As you recline, you feel the heavy pressure on your back slowly weaken, which then relaxes your back muscles and improves the massage. Osaki decided to use 2 stages of zero gravity reclining for the OS 7200. 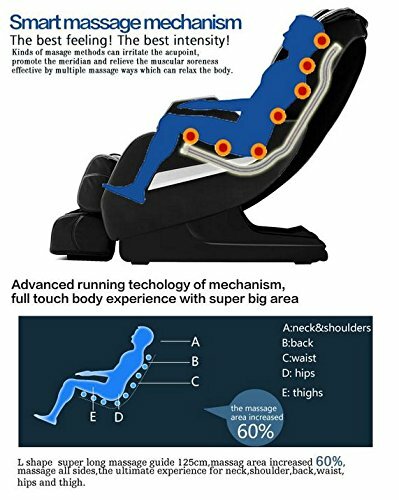 The first stage puts your body in a medium recline point. In this stage, you aren’t entirely reclined, but your body still feels the positional change during the massage. We found that the first stage was great for people that wanted to use the zero gravity recline to target specific points on their body with different techniques and weight distribution points. The second stage goes even further and helps deliver a strong deep tissue massage. In an upright position, we found that the deep tissue was strong, but combining with zero gravity reclining took it to another level. 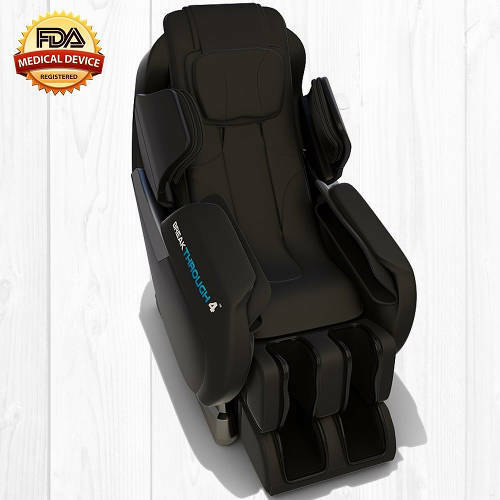 The Medical Breakthrough 4 is one of the few massage chairs that use medical professionals to help in the design and construction process. This immediately separates it from the competition and improves the zero gravity reclining experience. Having multiple features that are designed to help your body heal is obviously beneficial, but the combination of those features with zero gravity is what caught our attention. 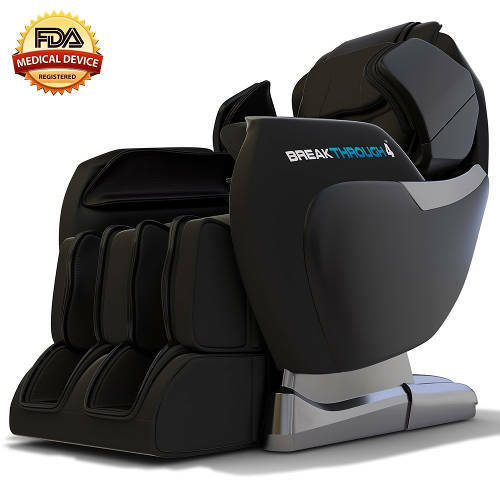 When we tested the Medical Breakthrough 4, we learned that it was the only massage chair that has enlisted the help of over 25 pain specialists, doctors, chiropractors, and surgeons. That is where the chairs medical body scan came from and changed the approach to focus on a closer analysis of the body and massage rollers. Using the actual zero gravity reclining was simple and straightforward. The chair is designed to create a deep relaxation feeling by focusing on customization and stretching. Unlimited combinations are what stood out the most to us; we tried multiple intensity settings, speeds, manual modes, automatic programs, and roller settings to figure out what we liked. And what we really liked was the chiropractic back stretch feature. It works to loosen tight muscles, stretch your back, and improve your spinal health by inflating and gripping airbags around your hips to produce a healing stretch. Gravitational forces are always pushing you down, and they eventually take a toll on your body and spine. That is why having the pressure reduced on your spine through zero gravity positions is so beneficial. 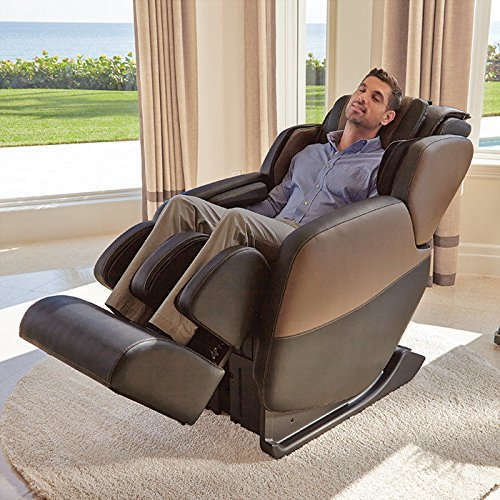 Brookstones Renew massage chair uses one-touch zero gravity reclining to recline your seat to the ideal position automatically. It also makes micro adjustments along the way that help mimic the experience and touch of a professional massage therapist. The L-track roller system of the Renew helps the massage programs and techniques become more efficient while in a zero gravity position. The combination of these three factors significantly improves how your massage feels, and it gives you a different experience of the massage techniques. When we tried out the massage programs, we found the Stretch, Back Relief, and All Air programs to be the most impactful (Other programs include: Stress Relief, Sleep, Soothe, Full Body, and Energize). Another great option was the quick 5-minute massage that rejuvenates you in a short span of time; it is the go-to option right before you go to bed or leave the house. When you first look at the OS-7075, you immediately notice the airbag band around the top of the chair. To be honest, it looks like it is made to strap you down to the chair and hold you there. However, looks can be deceiving, and that is most certainly the case here. The head band provides gentle palm squeezing around your head and copies the downward pressing motion of a palm. We immediately wanted to see what this would feel like with the chair in a zero gravity position. At first, it doesn’t feel much, but 2-3 minutes into the reclined head massage you begin to feel like you’re floating on air. It’s super calming, and the light pressing on your head helps relieve built-up pressure in your neck. 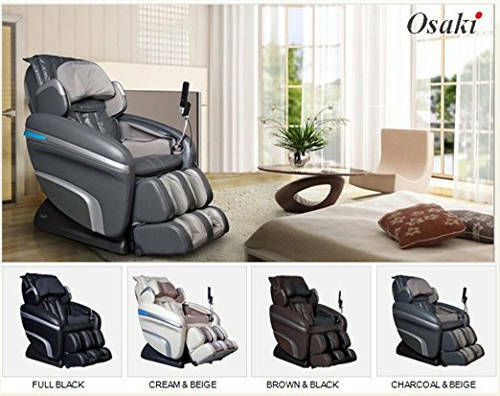 A final point that we noted, the OS-7075 has a wide recline range. The laying angle goes from 95-170 degrees, and the angle of the footrest goes from 0-170 degrees. The range is useful to have because not every automatic zero gravity position will fit everyone the same, and by allowing you to find yours, the OS-7075 shows its value. The 161 is good for a lot of things, but it is great for lowering the pressure on your joints, tense areas, and backbone through zero gravity reclining. 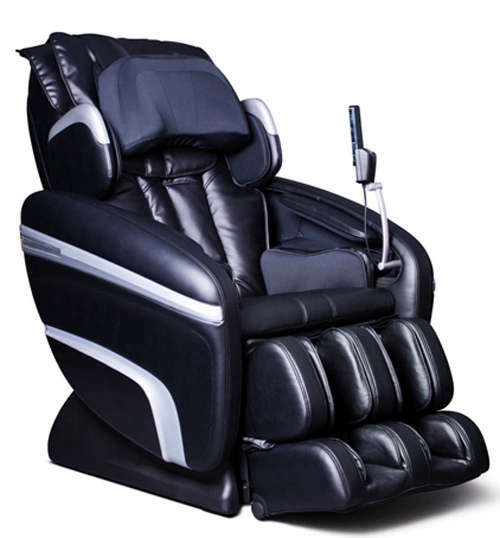 It helps that the chair has a 49” inch track that increases the amount of surface the rollers can cover during your massage, but the chairs ability to re-align and continuously adjust your body is the best part. Shoulder alignment through the sensor device helps structure your body and places you in the most optimal position when you are getting massaged. Large pressurized pillows also work through the delicate areas of your body (neck and head), that normally would be sensitive to touch. We often find that these areas are even sensitive to the touches of a professional masseuse, and it can be difficult to relieve pain. Overall, the chair is efficient, customizable and quiet while reclining, and is one of the best-priced chairs today. 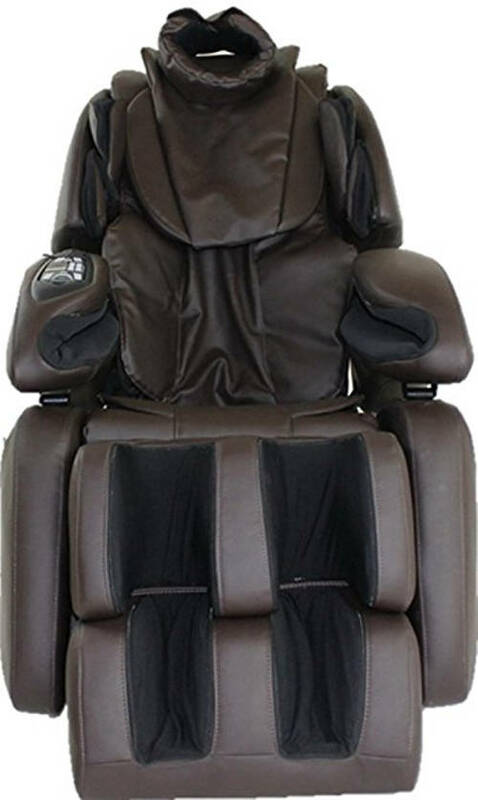 If you want a reliable massage chair, but don’t want to spend in the thousands, then this chair is the ideal choice. Regardless of price, the 161 delivers performance and durability. Having your body in a weightless position can help you realize how light your persistent aches can become. After using the LM-7000 non-stop, we found that the chair’s backrest was supportive and absorbed weight easily. Many times we see massage chairs struggling during zero gravity reclining, and we feel the weight having an impact on the functions of the chair. 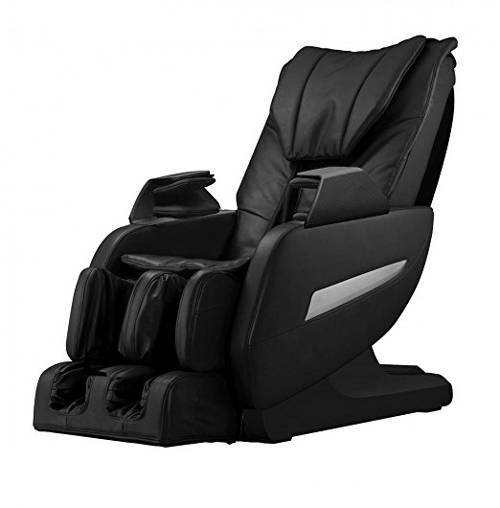 However, with the LM-7000 reclining was even and worked perfectly with the 4 massage programs. When testing out the different programs with the zero gravity reclining, the upper body program was genuinely relaxing. It was a complete anti-stress experience that worked a deep tissue massage through the neck and head area with ease. We also had several people test the programs, and the resounding winner was the yoga program that helped with stretching and circulation. Massage chairs have a lot of great features, but they also come with some pretty not-so-great features. 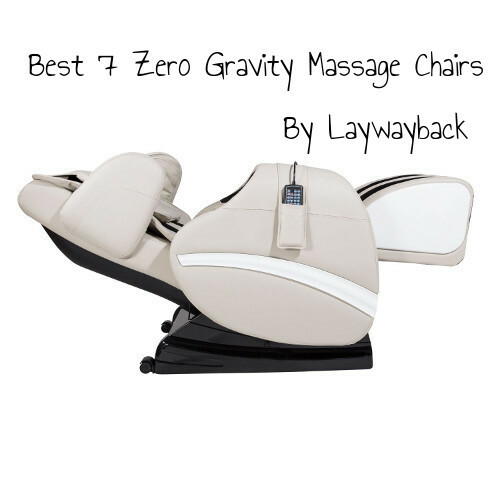 Zero gravity is one of the most valuable features that a massage chair can come with, and figuring out which chairs are worth it can be hard. The most important thing is to focus on complete performance. Chairs that concentrate on those two things help reduce muscle tension and decompress the spine which helps improve your health for years. With that said, our editors pick the Hubot Massage Chair from Kahuna. It has 107 airbags, 3D zero gravity reclining, and a supportive cast of features that change the way your body feels day-to-day. A sure winner in our books! For more specialized massage guides, head over to our chairs for short adults review and our updated list for the best Cozzia chairs. Annual Creative “Choose Better” Scholarship! © 2019 All rights reserved - laywayback.com participates in the Amazon Services LLC Associates Program, which is an affiliate advertising program designed to provide a means for websites to earn advertising fees by advertising and linking to amazon.com. Amazon, the Amazon logo, AmazonSupply, and the AmazonSupply logo are trademarks of Amazon.com, Inc. or its affiliates.